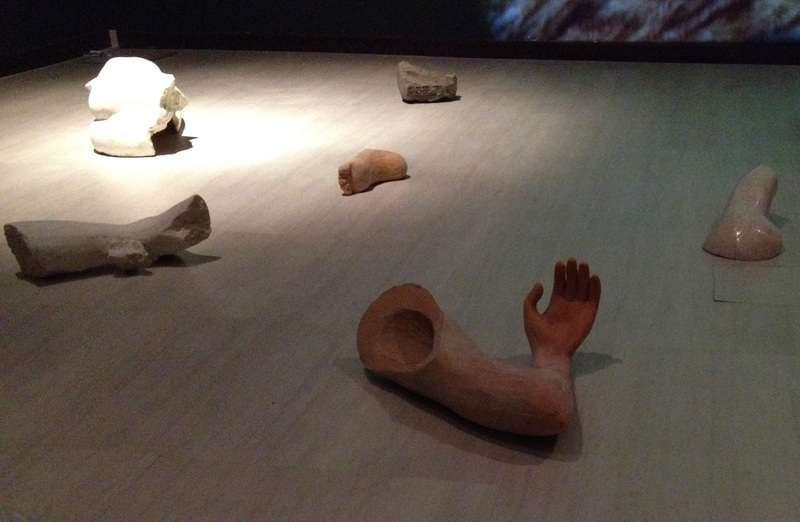 I had the great good fortune of experiencing the Singapore Biennale recently. 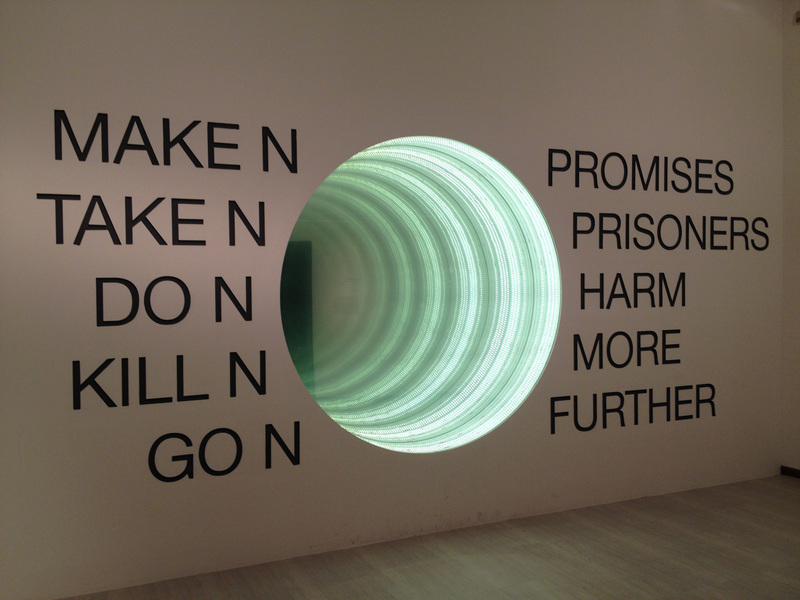 2013 marked the 4th Biennale and this year’s title “If the World Changed” was an invitation to the included artists to consider and rethink our world and the world we want to live in. 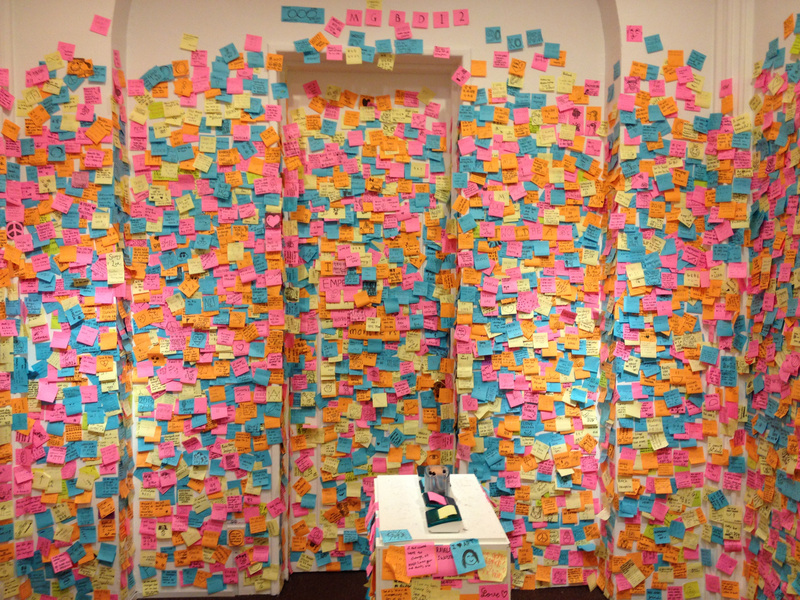 The curators also asked visitors to contribute their thoughts to the dialogue via an interactive installation. 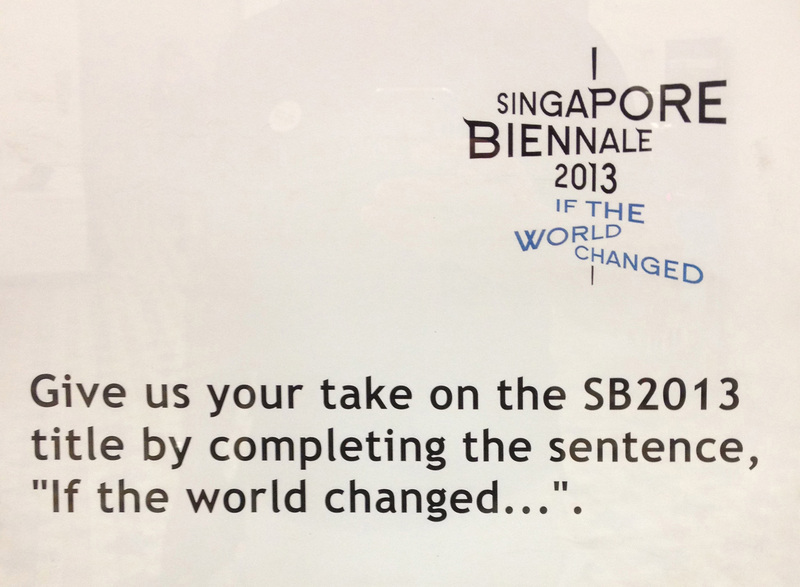 The 2013 Biennale highlights the works of 82 artists and artist collectives from the Southeast Asian region and beyond. A 27-member curatorial team selected the artists and shaped the vision for this year’s exhibition, and the event is spread across nine venues with the bulk of the work being presented at the Singapore Art Museum, SAM at 8Q, the National Museum of Singapore and the Peranakan Museum. Many of the included works were commissioned for the event. It took me two days to see most of the exhibition and some of the works deserved a second visit. Sound was a common element. 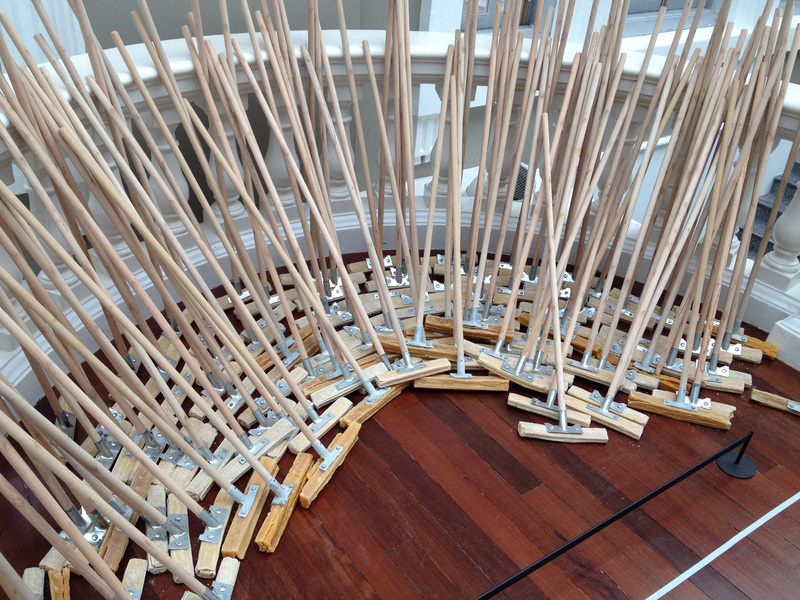 Many of the works had sound components and some, like the work of Angie Seah, invited the viewer to create their own sound environment. Seah explored the idea of sound as memory. She created a sound console so that the viewer could create their own memories with sound. 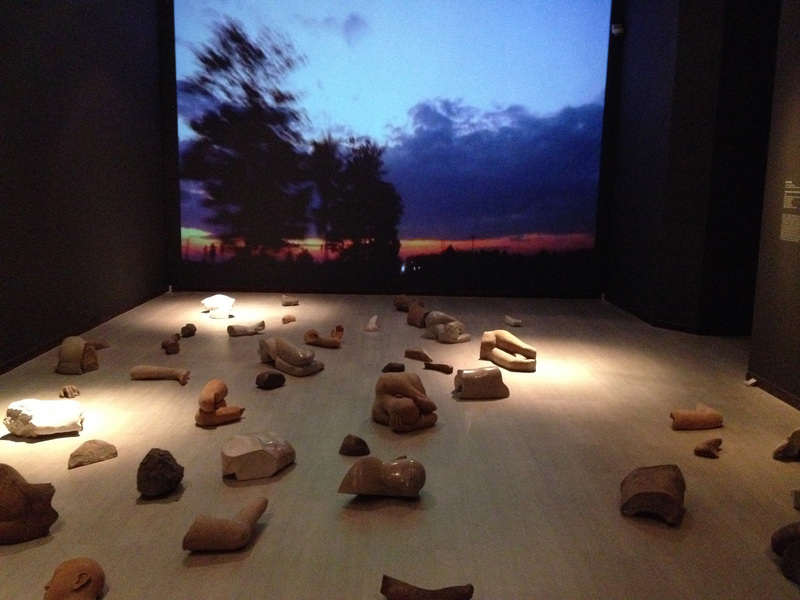 Another work to include sound was Anahata by the artist Kumari Nahappan. 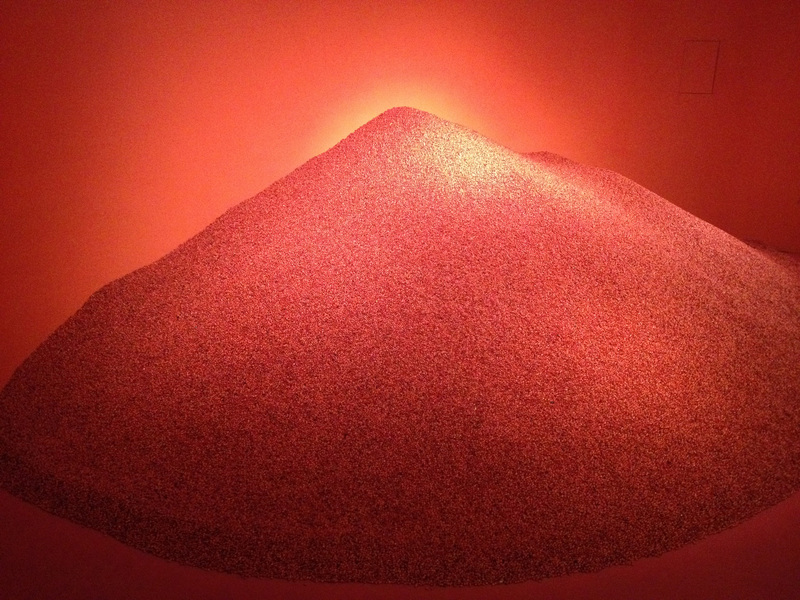 The piece is comprised of over 4,000 kg of saga seeds and explores the idea of change in the abstract as potential embodied by the seed and the possibility for growth that seeds contain. In addition to the seeds and the room, there was the subtle sound of a heart beating which heightened the deep red pulsating color of the room. There was a lot of video, and many installation works included a video component. I particularly loved the installation Monument for a Present Future by the artist Kiri Dalena from the Philippines. This work included video that documented the dirt road where 58 people were found after the Maguindanao massacre of 2009. Many works were interactive and some of the more striking works included sensory elements like smell that heightened their impact. The Great Puddle by Nguyen Huy An used smell to great effect. 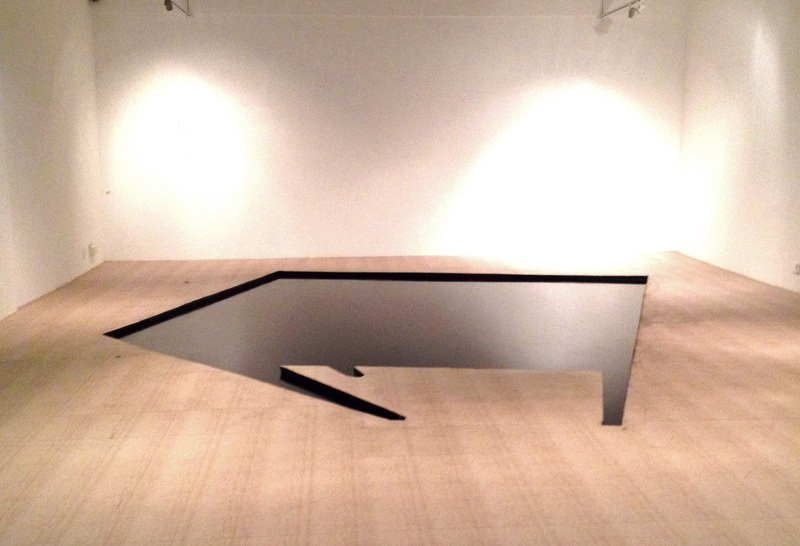 This work is comprised of a large pool of Chinese ink in the shape of a writing desk. 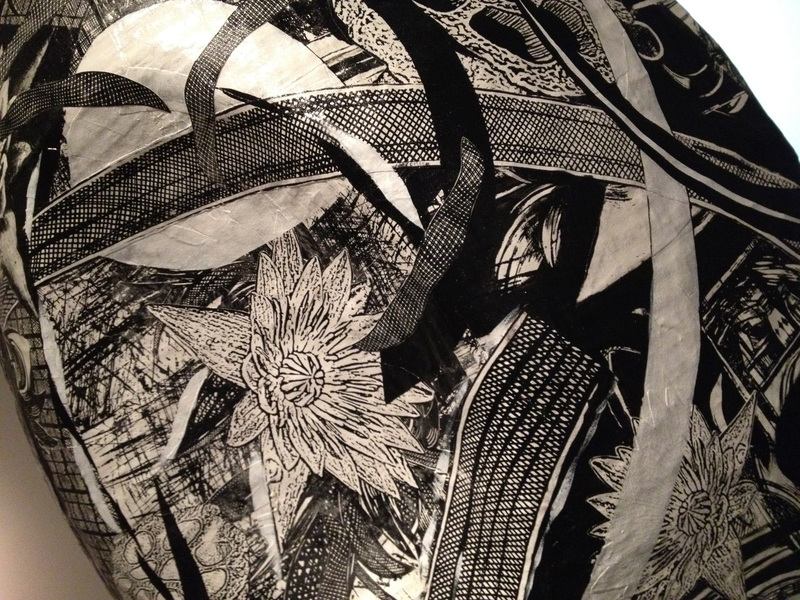 The shimmering reflective surface of the ink and the smell of the liquid magnified the visual impact of the work and added an organic element to what was visually quite stark. 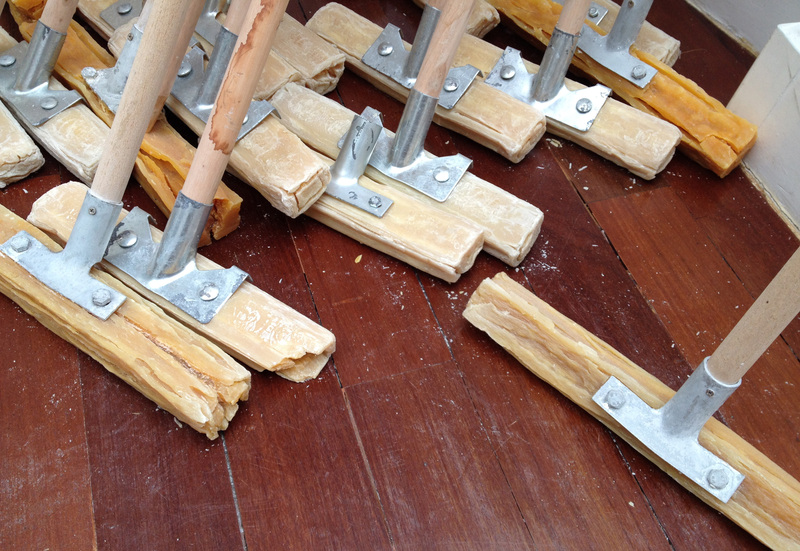 I also really loved the Lam soon soap mops from Leroy Sofyan. 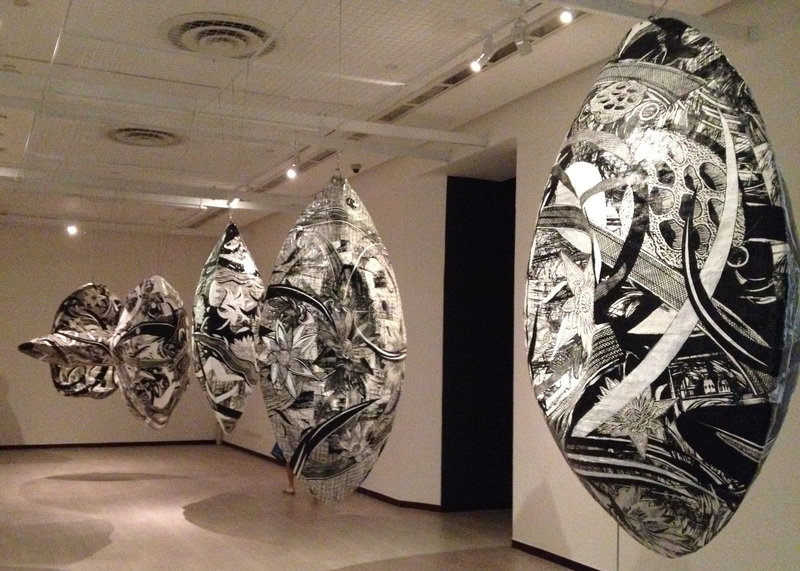 Many works included text like the work of Iswanto Hartono & Raqs Media Collective. 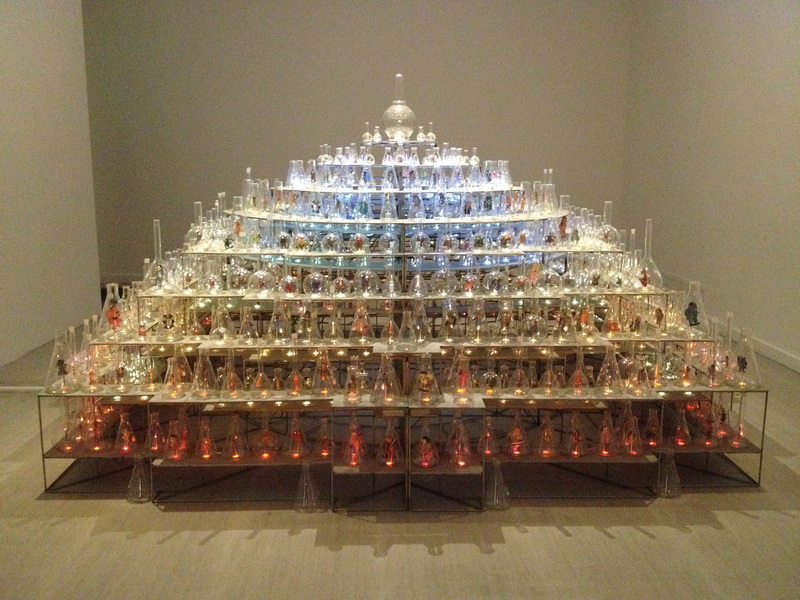 There were also quite a number of works that were composed of collections of objects installed both environmentally and collectively as sculpture. 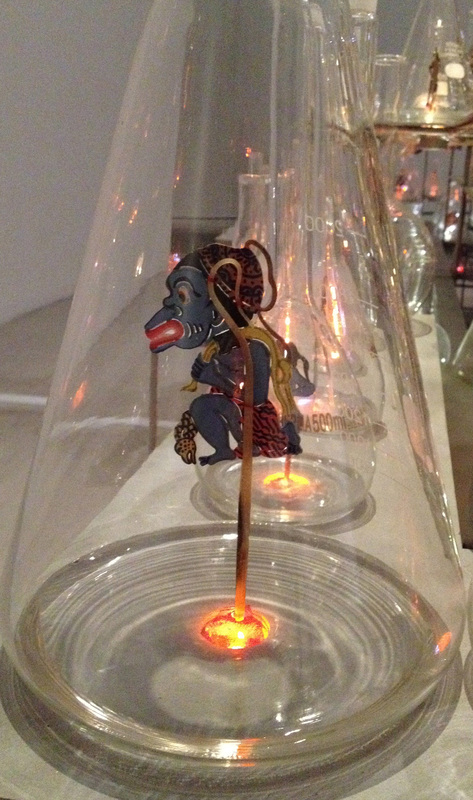 Nasirun’s work Between Worlds used a collection of Wayang puppets inside lit glass vessels to mimic and reference television and popular culture. 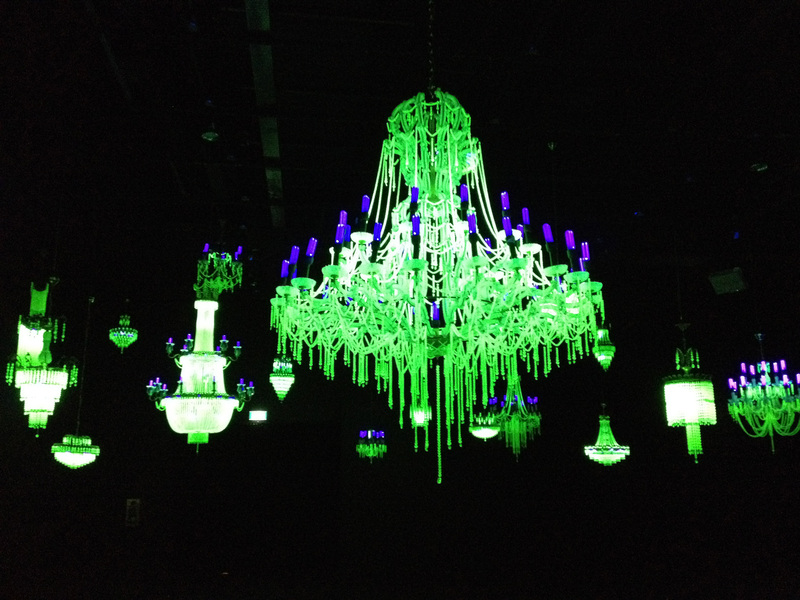 Another dynamic collection of objects was the stunning installation created by Oscar Villamiel. 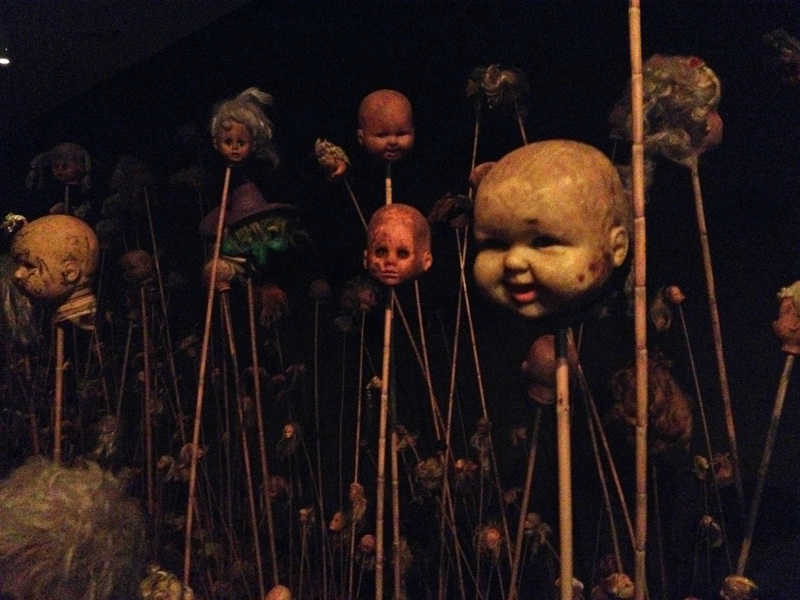 Oscar planted a rather macabre garden where thousands of dolls excavated from a landfill in Manilla literally bloomed like damaged and forlorn flowers. 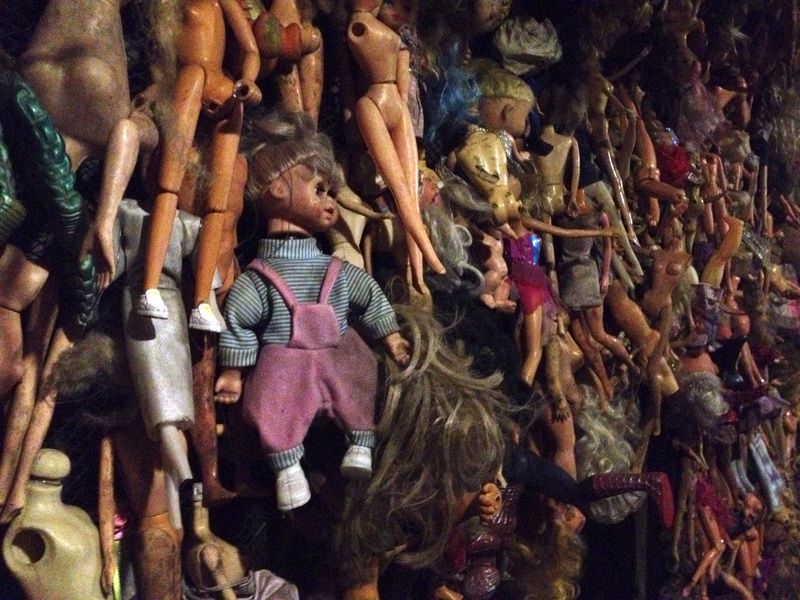 The work is called Payatas after the landfill from which the dolls were salvaged. The landfill is home to 200,000 people. Many residents scavenge for anything that can be recycled, re-used or resold, including toys. Payatas is one of the most disturbing and beautiful works I have seen in a long while. I wasn’t able to capture the full impact of the work, but the photos give a small idea of what it was like. 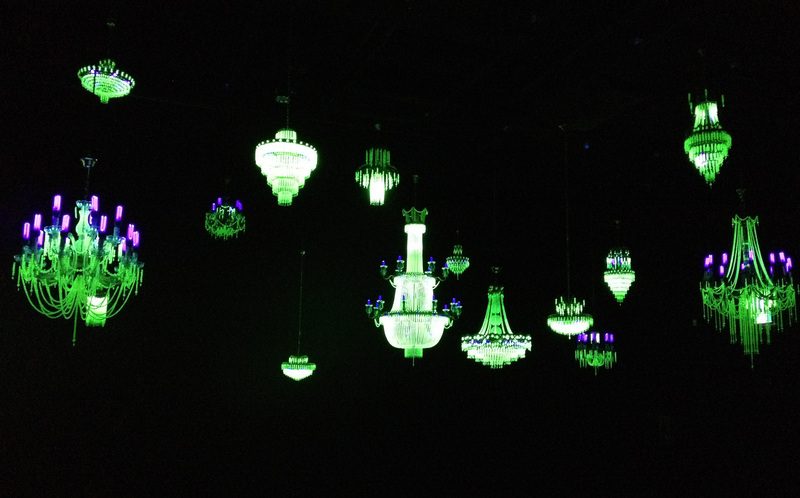 Another ethereal collection of objects were the “Nuclear” Chandaliers created by Ken and Julia Yonetani. This piece was conceived in response to the Fukushima Daiichi nuclear disaster. 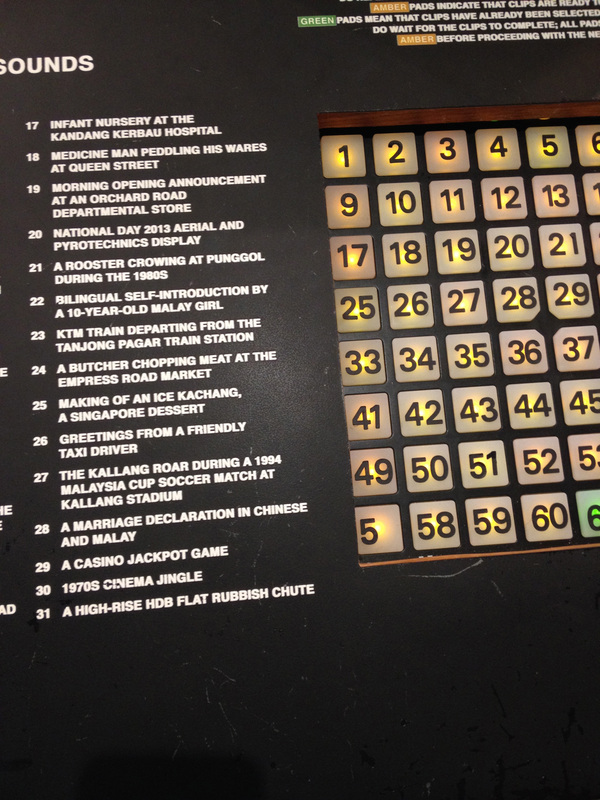 The 31 chandeliers represent the 31 world nations with nuclear power and the size of each fixture represents the number of nuclear plants belonging to each nation. 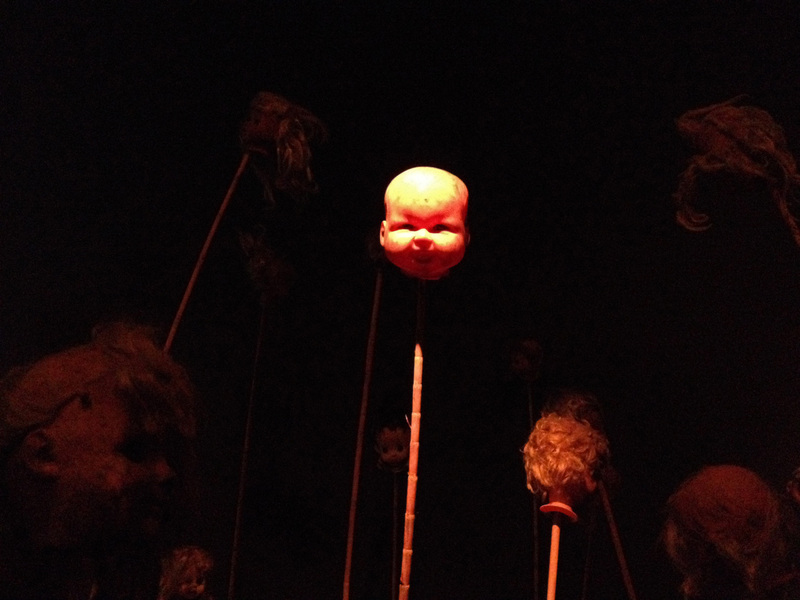 But above all the human element prevailed at the Biennale. Two works particularly resonated. 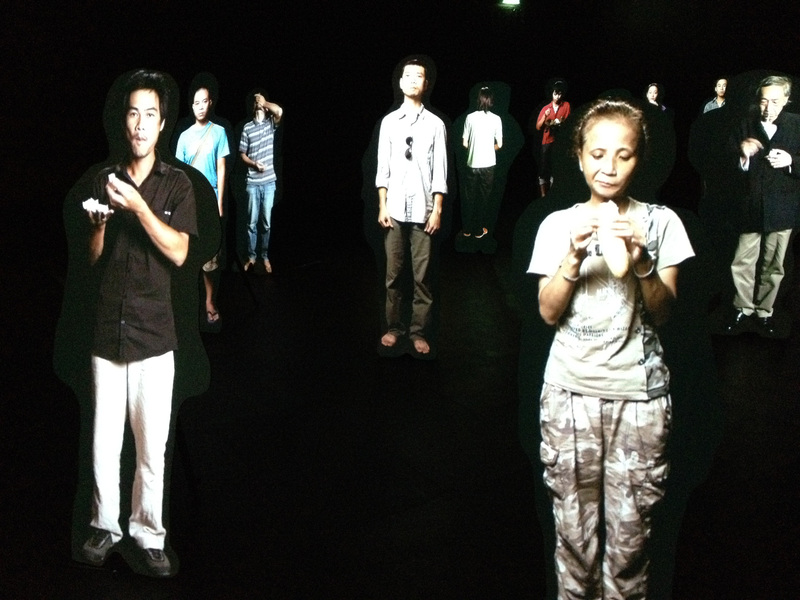 The video cutouts of Nguyen Trinh Thi captured his artist friends eating as a way to investigate the artists right to freedom of expression and peaceful existence. This piece also used sound to great effect. One could here the figures eating throughout. When one entered the room one could feel the presence of the figures. The work of TeamLab also used technology beautifully. 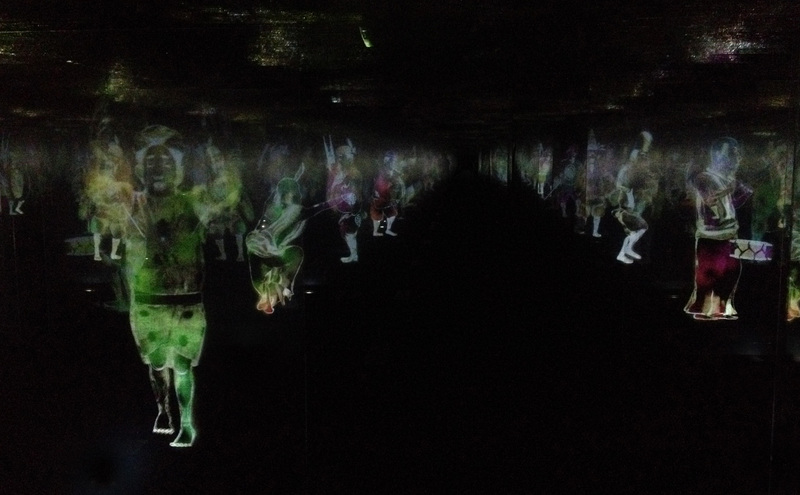 They created an interactive environment exploring dance and indigenous festivals in Japan. 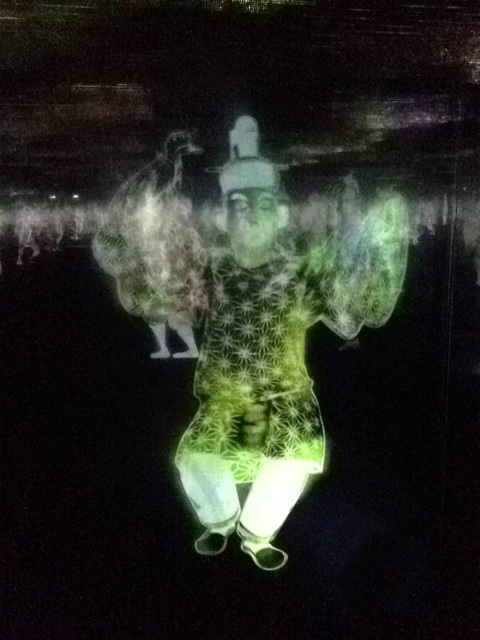 teamLab, Peace Can Be Realized Even Without Order , 2012, Interactive digital installation. 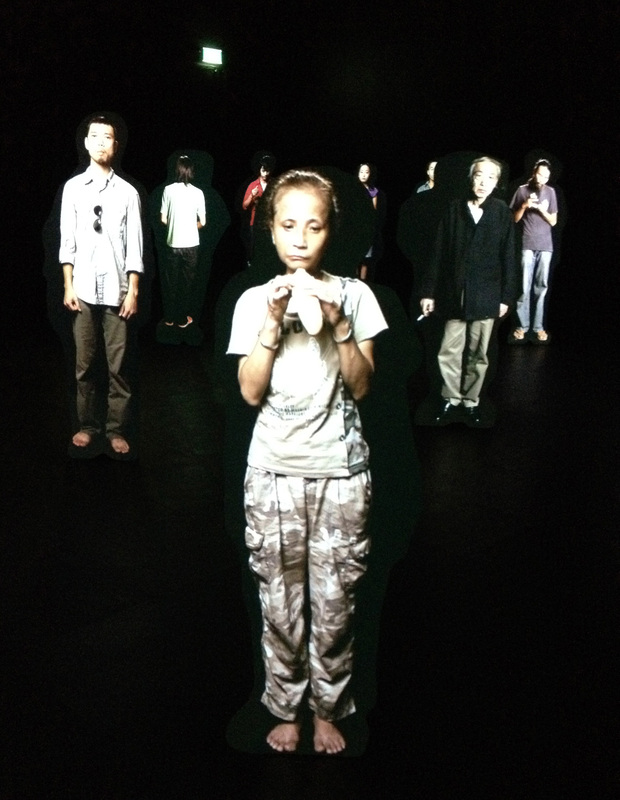 This work allowed the viewer to actually interact with the figures. Motion sensors throughout the room caused the work to shift both visually and musically as the viewer moved throughout the room. After walking through Peace Can Be Realized Even Without Order several times I came to the conclusion that “if the world changed” I would want the world that teamLab created to remain exactly the same. Each moment in that space was pure magic. « Welcome to The Artist’s Periscope! Very nice, DAC! Thanks for sharing….